A group of lawmakers wants to tax financial transactions -- a move they argue will generate billions of dollars in revenue and reduce the risk of another financial crisis. On Tuesday Sen. Brian Schatz (D-Hawaii) introduced the Wall Street Tax Act in the Senate, while Rep. Peter DeFazio (D-OR) introduced legislation in the House. 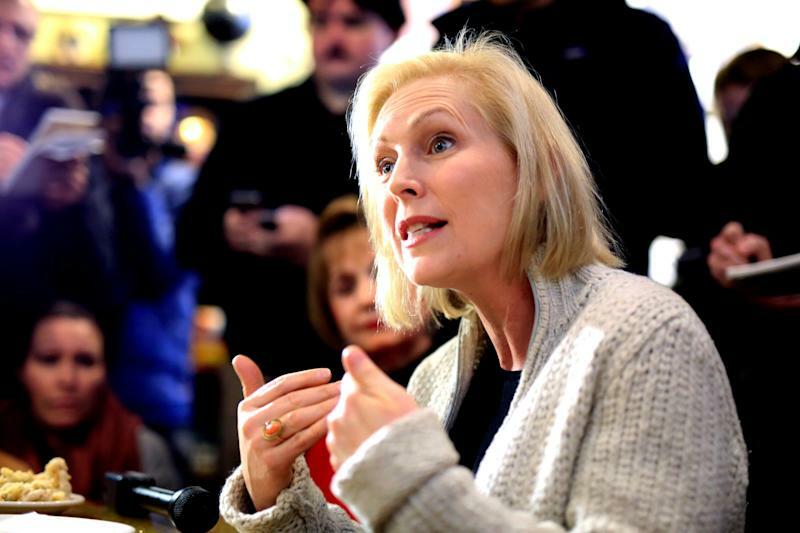 Sen. Kristen Gillibrand (D-NY), a 2020 presidential contender, Rep. Alexandria Ocasio-Cortez (D-NY), and other progressive lawmakers have signed on as co-sponsors. The Joint Committee on Taxation has estimated a financial transaction tax would raise an estimated $777 billion over the next 10 years. The lawmakers say the tax would apply to the fair market value of equities and bonds, and the payment flows under derivatives contracts. Initial public offerings and short-term debt (with a maturity of less than 100 days) would be exempted. The tax would apply to every transaction made in the United States or by a U.S. person — including retail investors. “Wall Street has made an art of high-speed trading and rank speculation that has fattened the wallets of a few while putting everyday Americans at risk. This tiny high-roller fee will help curb this risky behavior while generating revenue that we can invest in growing our real economy and helping hard-working families,” said Sen. Chris Van Hollen, who has cosponsored the bill. “Risky financial behaviors like near-instantaneous high-volume trades have destabilized our financial markets while contributing nothing to the economy,” said DeFazio. But not everyone thinks this is a good idea. “I’m a little wary of any tax that promises significant revenue at a very low rate…a tax that’s able to do that is generally taxing income multiple times,” said Kyle Pomerleau, chief economist and VP of economic analysis at the Tax Foundation. The lawmakers claim by increasing transaction costs slightly, the legislation would redirect money to “more productive” areas of the economy and reduce the risk of financial crashes. Pomerleau told Yahoo Finance he doesn’t think the bill will help prevent another financial crisis. “There’s a lot of reasons that the financial crisis happened. I don’t think that the volume of stock trades is one of them,” said Pomerleau. The Democratic party has recently introduced several proposals to increase taxes on the wealthy. Ocasio-Cortez got a lot of attention for floating the idea of a marginal tax rate of 70% that would apply to every dollar earned after a person made $10 million in one year. During the 2016 presidential campaign Sen. Bernie Sanders proposed a financial transaction tax and then-candidate Hillary Clinton proposed a tax targeting high-frequency traders. Jessica Smith is a reporter for Yahoo Finance based in Washington, D.C. Follow her on Twitter at @JessicaASmith8.